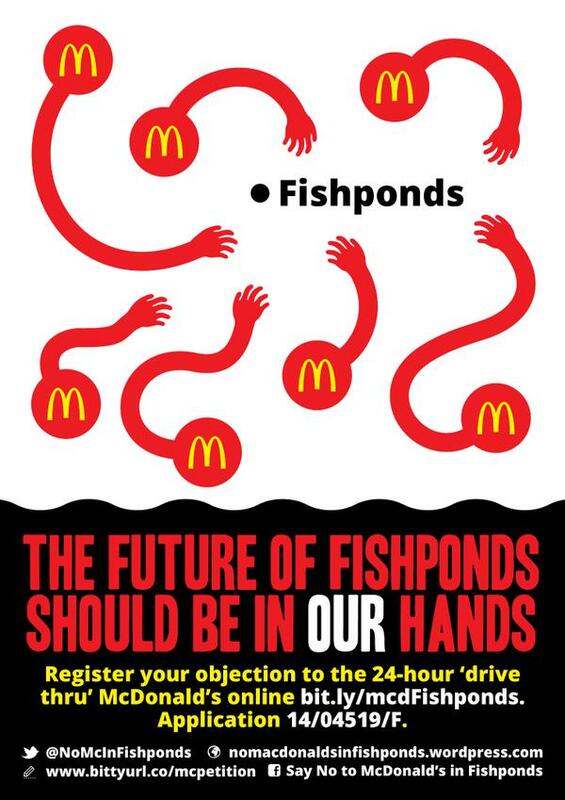 Say no to McDonalds in Fishponds – you can object. 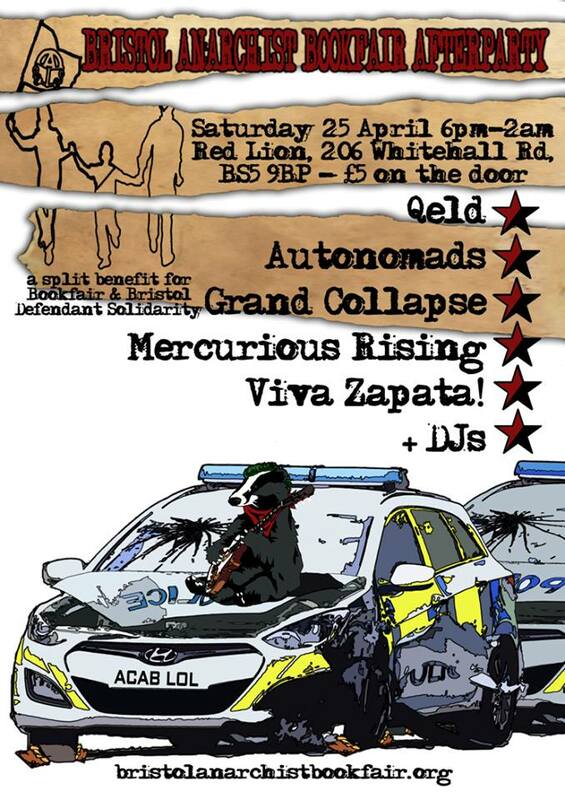 Update to Bristol Solidarity Network action and communications blockade against rogue landlord. 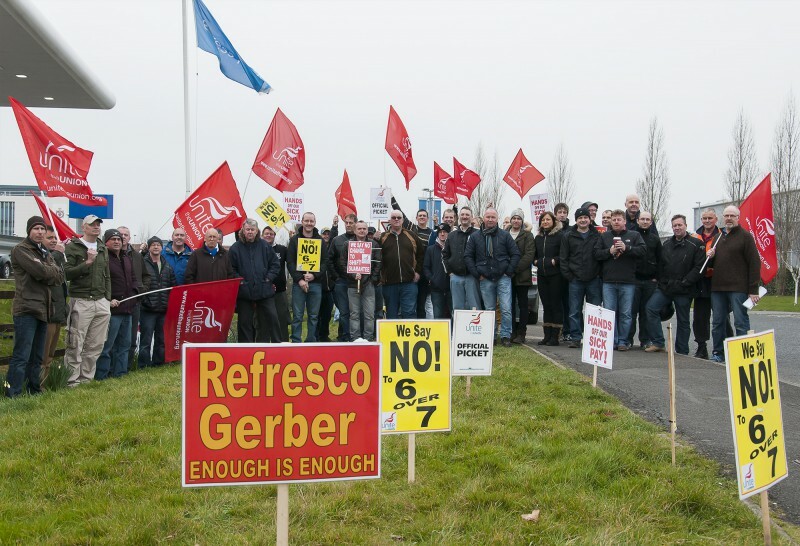 CEA have had enough, and have notified the landlord and the tenants that they have quit managing the property. 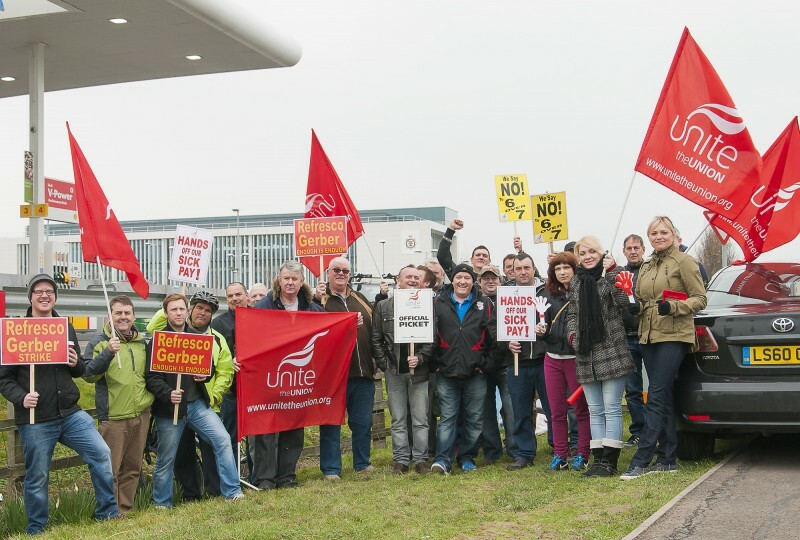 We have called off a second picket and communications blockade of their offices, pending further confirmation. They have put the tenant in direct contact with the absentee landlord, watch this space for more information on how the landlord plans to handle things! 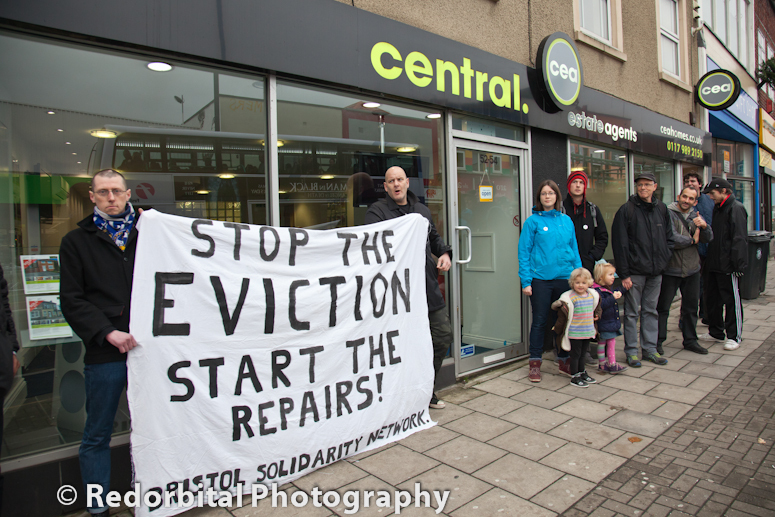 On Monday 22nd December, 20 members and friends of Bristol Solidarity Network demonstrated at the offices of Central Estate Agents in Bristol. 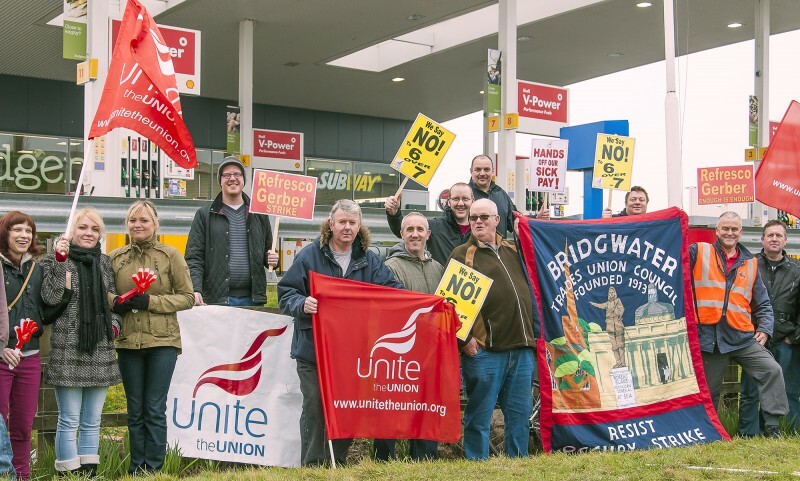 There was a great deal of interest and support for the picket from passers by, many of whom said they would tell others about the situation. 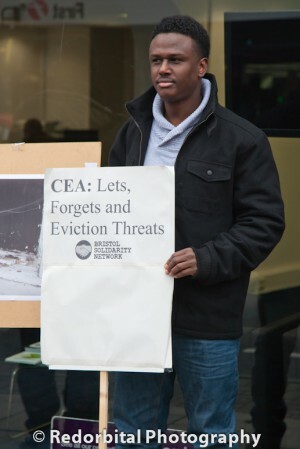 This marks the beginning of a campaign to expose CEA’s shocking neglect and threats against tenants of a house in Easton, which will continue with a second demonstration on Friday the 2nd Of January. CEA “manages” this property for an absentee landlord last seen by the tenants in 2007. The house is in an appalling state of disrepair, with a seriously leaky roof, huge cracks in walls and ceilings, broken doors, rotting window frames and intolerable mould, cold and damp. Four family members, including three children, have developed asthma as a result of these conditions they have been forced to live in by CEA and the landlord’s neglect. They are understandably angry. CEA and the landlord they work for have consistently dodged their responsibilities and ignored the tenants’ repeated requests to carry out the necessary repairs. 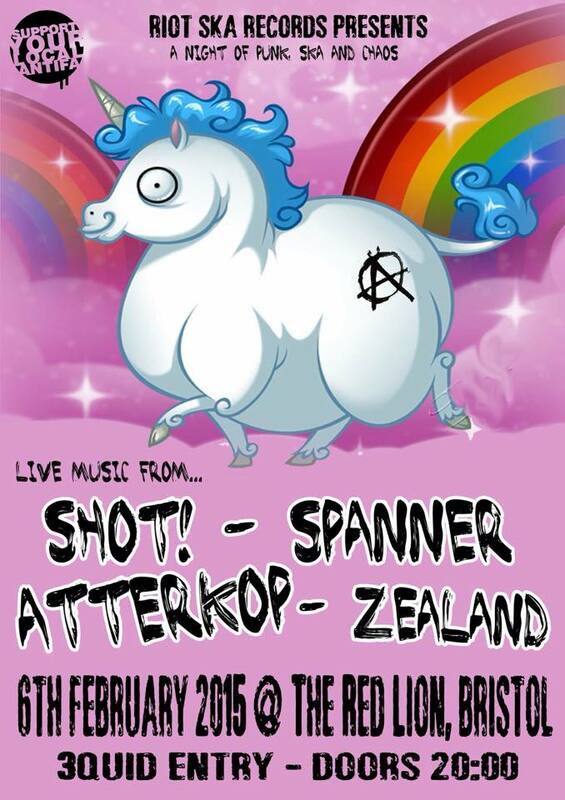 Even ignoring a legally binding improvement notice issued by Bristol City Council. The very few repairs that have been done have been cosmetic, minimal and ineffective. Unbelievably, the council claim they are satisfied the repairs have been done, without even examining the roof! We offered them a ladder so they could see the extent of the disrepair but they declined. Their “investigation” was clearly just about how they could shirk any responsibility or involvement. As is often the case, the tenants are very unlikely to get help from the council. Luckily, our boxes are not so easily ticked and we are not so easily brushed aside. 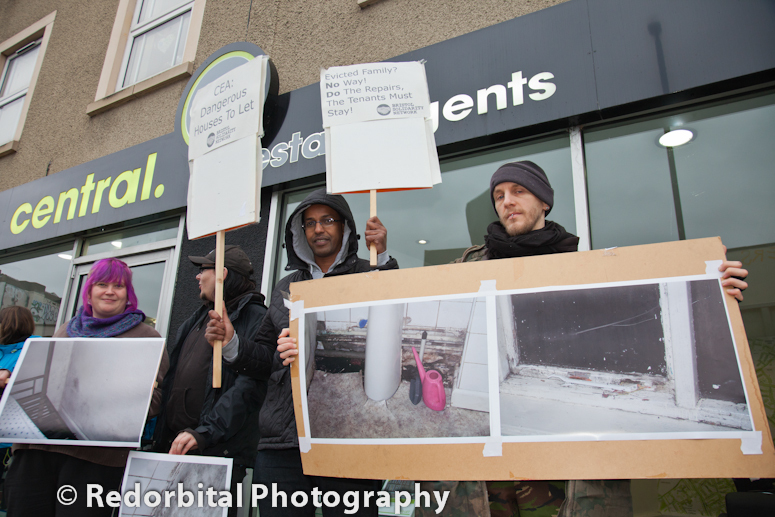 On Monday 8th December Bristol Solidarity Network members accompanied one of the tenants to the offices of CEA to deliver a letter demanding the necessary repairs be done. Two days later Jabar Mohammed of CEA responded, not by agreeing to do the right thing and start the repairs, but by threatening the family with eviction. We will not allow this absentee landlord and his agents to bully a family out of their home just for wanting to live in decent conditions. 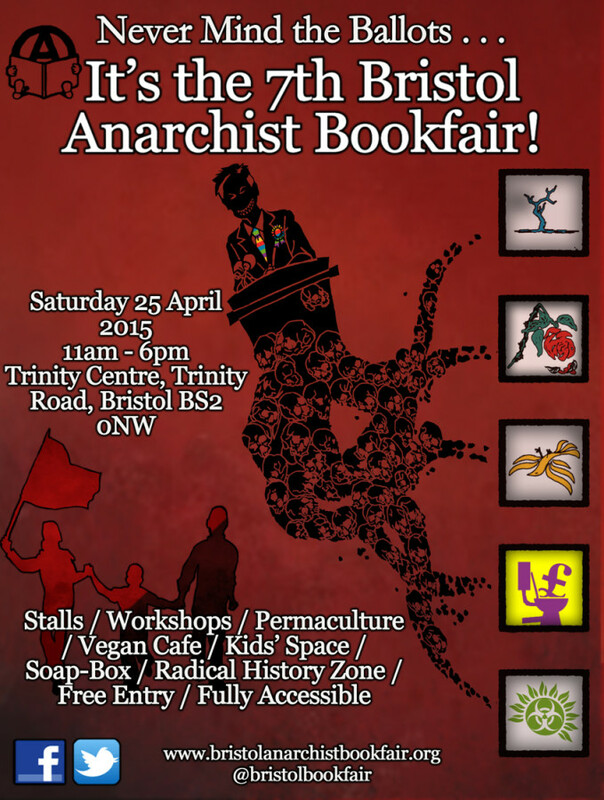 This family are prepared to stand up against this shameful bad practice, and Bristol Solidarity Network will fight alongside them until we win. We know this family is not alone and this is part of a larger struggle for decent homes for people – rather than ever higher profits for landlords. CEA have a clear list of the much needed repairs. We will not stop and the pressure will increase until these repairs are done. It seems they won’t listen to tenants or appeals to do the right thing. Let’s see if they’ll take notice of a high profile campaign to affect their profits. Money talks after all. 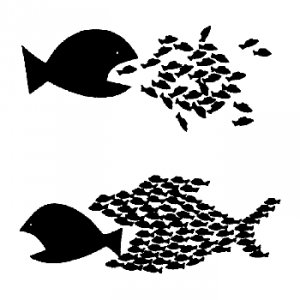 One of our next steps will be a demonstration at the offices of CEA on Friday January 2nd at 2pm: Central Estate Agents, 52-54 Gloucester Road, Bishopston, Bristol BS7 8BH. (Facebook). At the same time, throughout the day on Friday January 2nd, we are calling for a communications blockade to give everyone a chance to let CEA know what they think.